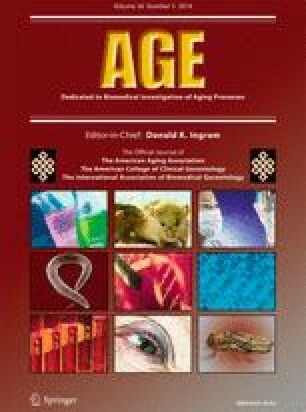 Are the leukocyte telomere length attrition and telomerase activity alteration potential predictor biomarkers for sporadic TAA in aged individuals? A large variability in occurrence, complications, and age/gender manifestations characterizes individual susceptibility of sporadic thoracic aortic aneurysms (TAA), even in subjects with the same risk factor profiles. The reasons are poorly understood. On the other hand, TAA pathophysiology mechanisms remain unclear than those involved in abdominal aorta aneurysms. However, recent evidence is suggesting a crucial role of biological ageing in inter-individual risk variation of cardiovascular diseases, including sporadic TAA. Biological age rather than chronological age is a better predictor of vascular risk. Relevant assumptions support this concept. In confirming this evidence and our preliminary data, the mean of blood leukocyte telomere length, through use of terminal restriction fragment assay and in blood samples from sporadic TAA patients and controls, was examined. Telomerase activity was also analyzed in two groups. In addition, we verified the weight of genetic inflammatory variants and the major TAA risk factors in telomere/telomerase impairment. Aorta histopathological abnormalities and systemic inflammatory mediators were ultimately correlated with telomere/telomerase impairment. Data obtained demonstrated shorter telomeres and a reduced telomerase activity in TAA patients significantly associated with a genetic inflammatory risk profile, age, gender, smoking, hypertension, a histopathological phenotype, and higher levels of systemic inflammatory mediators than controls. In conclusion, telomere and telomerase activity’s detection might be used as predictor biomarkers of sporadic TAA. Their impairment also suggests a strong role of vascular ageing in sporadic TAA, evocated by both environmental and genetic inflammatory factors. Dr Balistreri was involved in conception and study design. Prof Ruvolo and Dr Candore were involved in the support of study materials/patients. Dr Pisano collected and assembled the clinical data of the study population. Dr Balistreri performed the experimental assays with the support in some telomerase activity’s evaluations of Dr Martorana. Dr Balistreri acquired the results obtained and performed their analysis. Drs Balistreri and Pisano were involved in the data interpretation and their translation in clinical suggestions. Dr Balistreri was involved in drafting the manuscript. Dr Balistreri and Prof Ruvolo contributed in the critical revision of the text of manuscript. Dr Balistreri and Prof Ruvolo contributed in the study supervision. Dr Balistreri gave the final approval of the version to be published. All authors participated in the study, and they read and approved the final manuscript.